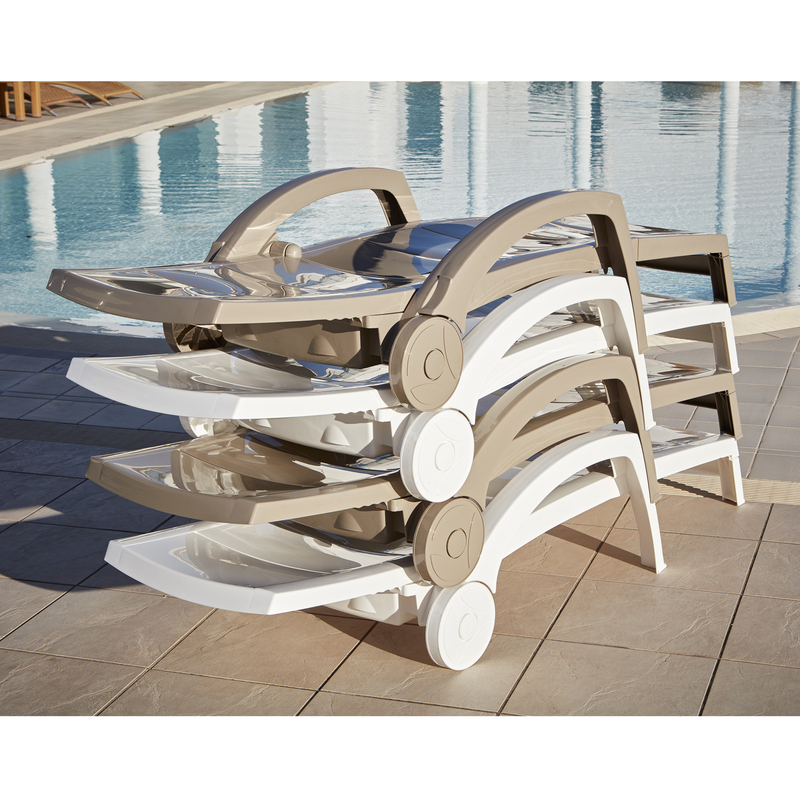 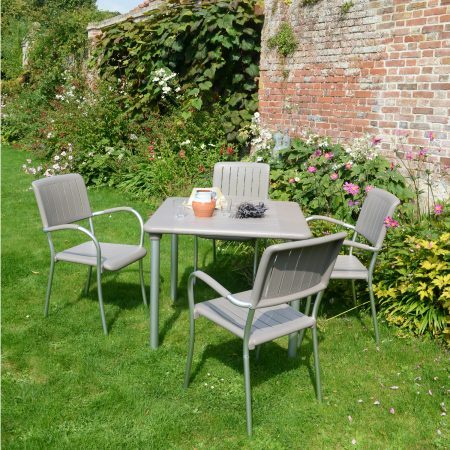 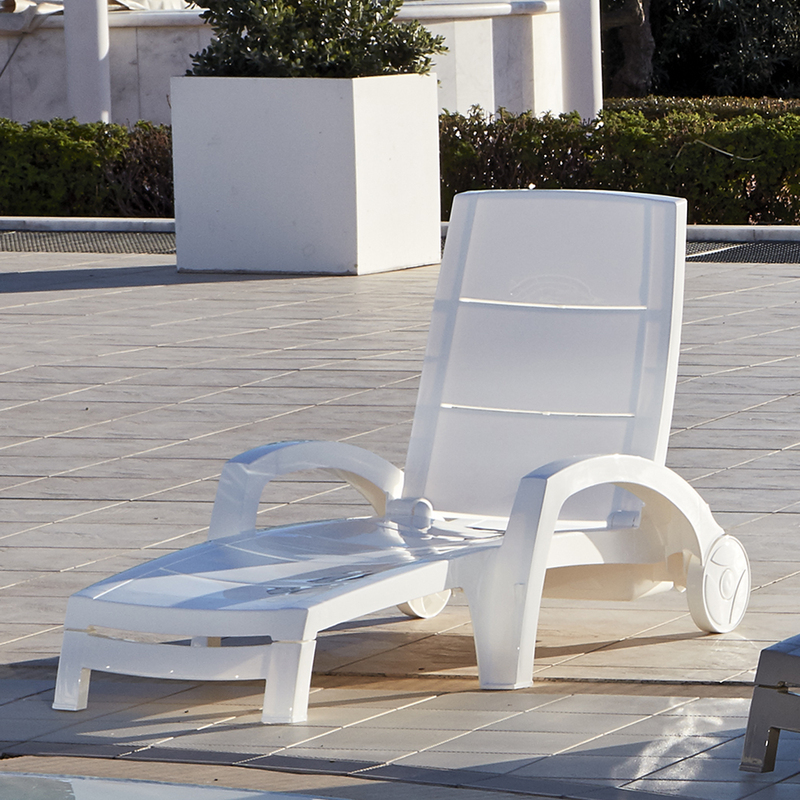 The “Ocean” wheeled lounger folds easy for storage, and has a 4 position backrest. 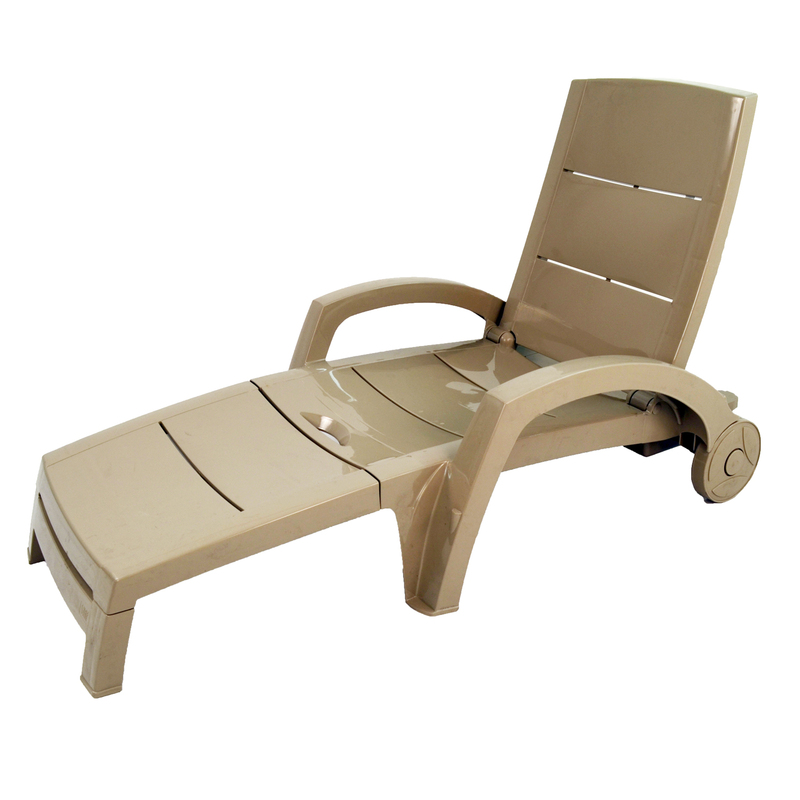 This is operated by lifting the backrest, adjusting the position and it locks back into place. 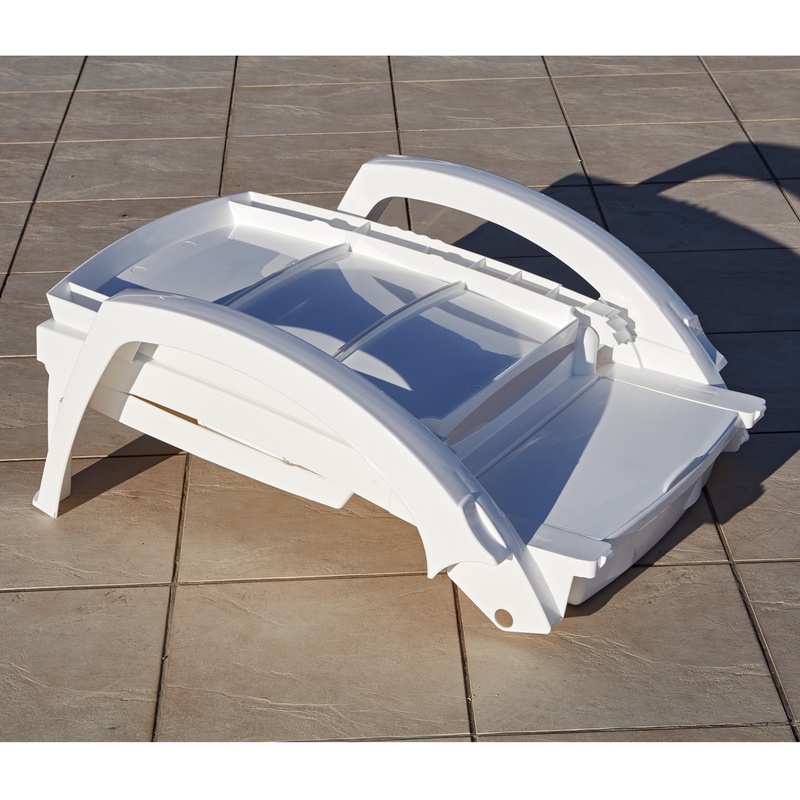 The bed will lay flat and there is a handy rear compartment for towel, sun cream, etc. 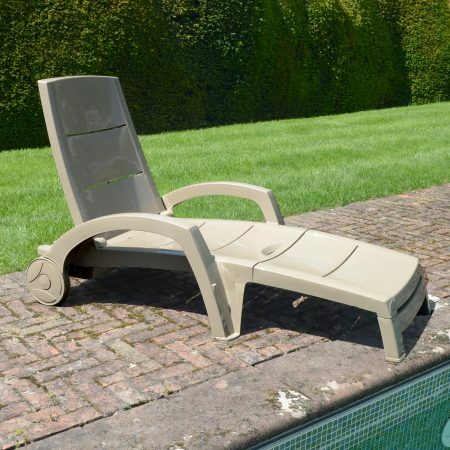 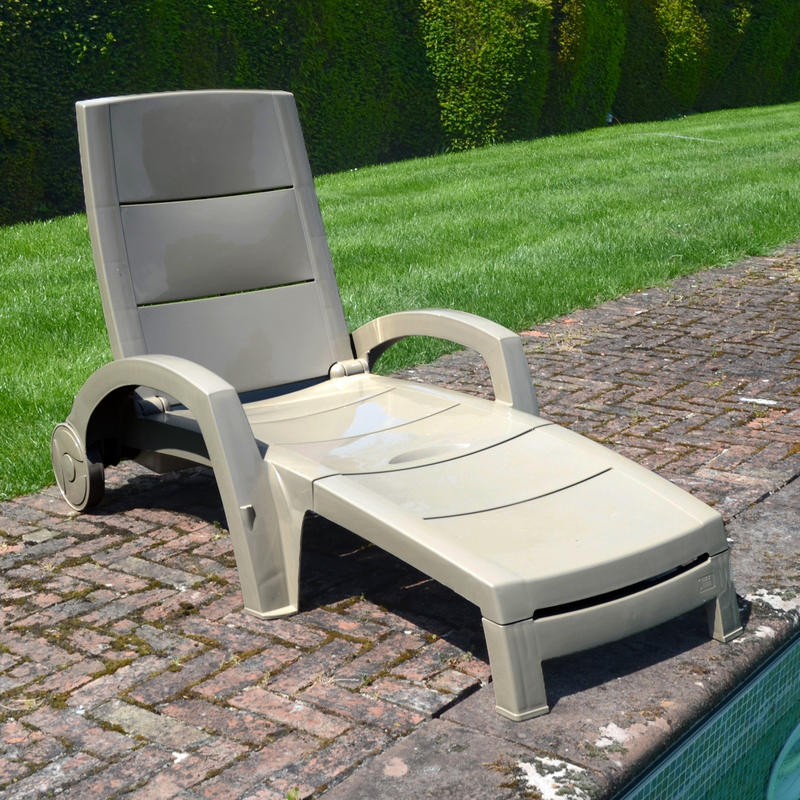 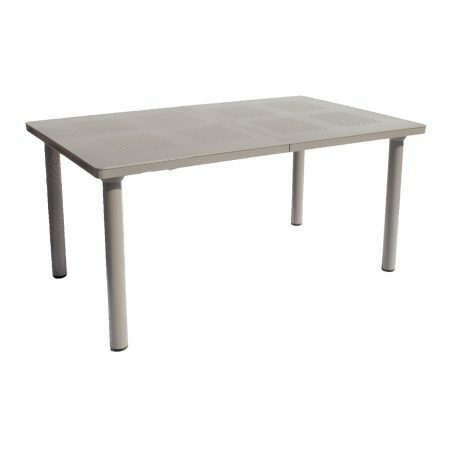 The “Ocean” wheeled lounger, shown here in beige, folds conveniently for storage, and has a 4 position backrest. 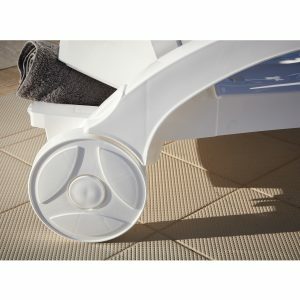 This is operated by lifting the backrest, adjusting the position and it locks back into place. 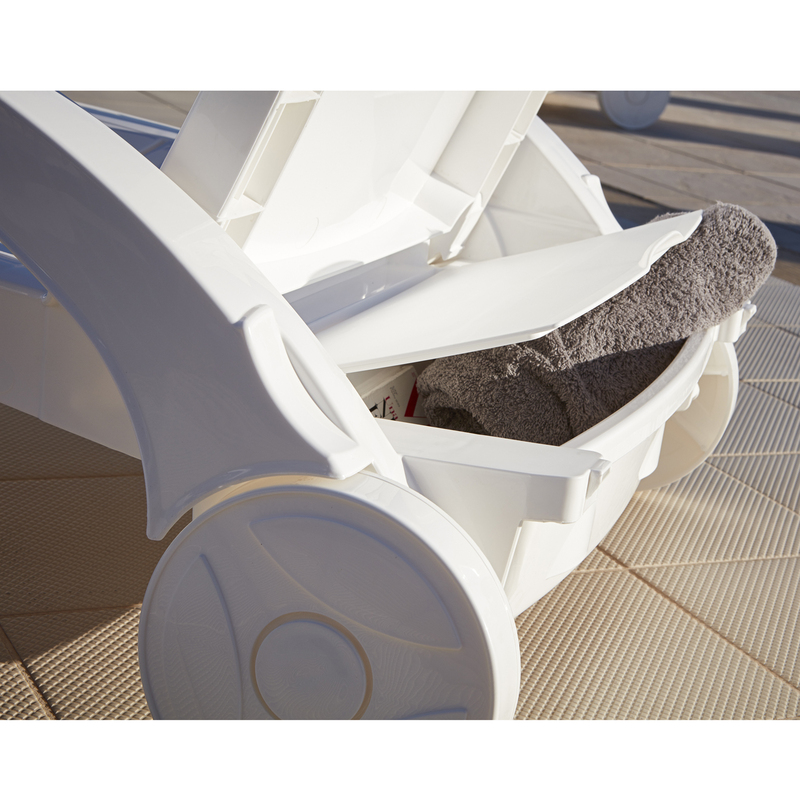 The bed will lay flat and there is a handy rear compartment for towel, sun cream, etc. 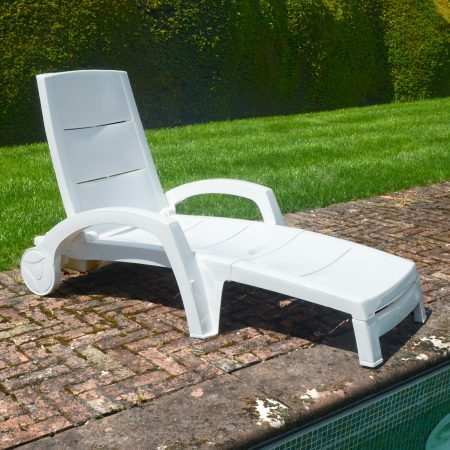 Being an all resin sun lounger this is a great sun bed to have around a swimming pool.